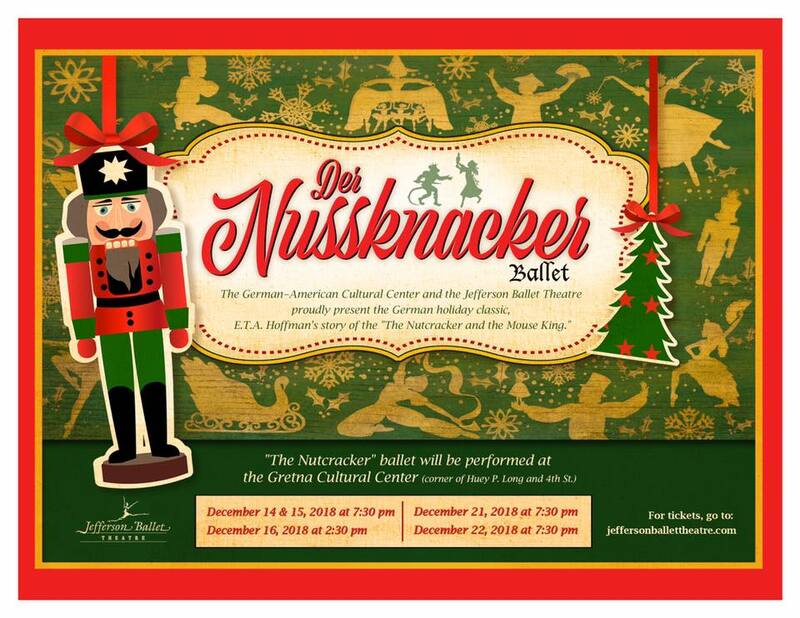 December 2018: The Jefferson Ballet Theatre production of the holiday ballet classic, The Nutcracker, at the Gretna Cultural Center For The Arts. The Jefferson Ballet Theatre’s Winter Concert featured three new, original contemporary ballets: “Le Triomphe de l’ Amour” (choreographed and staged by Ms. Gayle Parmelee), “The Skaters’ Waltz” and a one hour long presentation of “The Snow Queen”. In the Knights of Sparta Mardi Gras Ball, The Jefferson Ballet Theatre performed excerpts from the Camille Saint-Sens ballet, “The Carnival of the Animals”, featuring a performance of Kimberly Matulich-Beck as “The Swan”. The presentation was so well received that The Jefferson Ballet Theatre was dubbed the krewe’s “Official Ballet Company”. 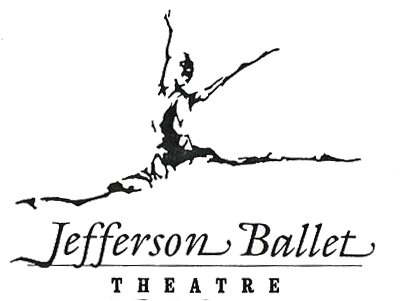 The Jefferson Ballet Theatre’s Spring Concert, entitled “A Concert of Classics”, presented three ballet standards, all original choreographed in the nineteenth century: “Pas de Quatre”, “Le Jardin” (from the full length ballet, “Le Corsaire”) and “Giselle”, Act II. In June, the Myra Mier School of Ballet presented its annual dance recital. The performance was held at Jesuit High School, and featured excerpts from several ballets, including “Le Corsaire”, “Coppellia”, “The Carnival of the Animals” and “Sleeping Beauty”. The concert also featured the beginnings of a new contemporary ballet by Matulich-Beck, “Go!”. Copyright © Jefferson Ballet Theatre | Jefferson Ballet School. All rights reserved.